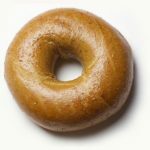 Whole Wheat Bagel (Copy) $25.98 dz. One Dozen Bialys $25.98 dz. Orders placed by 3:00 pm EST on Monday, Tuesday, Wednesday & Thursday will be baked and shipped on the next business day. Orders placed on Friday, Saturday and Sunday, will be baked and shipped on Monday for Wednesday delivery. Orders placed later then 3:00 pm will be shipped on the second business day. If you need large quantities of Bagels (catering, bakery sales, etc.) just e-mail us and we will have a representative call you. Keep Bagels at room temperature. Do not store in the Refrigerator. Slice Bagels before freezing, freeze for no longer than four months. Place Bagels in a freezer bag. About 6 to a bag. Seal tightly. Use toaster function to defrost then toast. Bagels can be eaten even after they have hardened. By Broiling, Toasting or Microwaving (for 20 seconds). 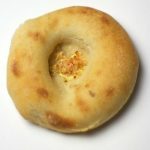 You can lightly sprinkle the Bagels with water and bake for about 8 minutes at 350 degrees.